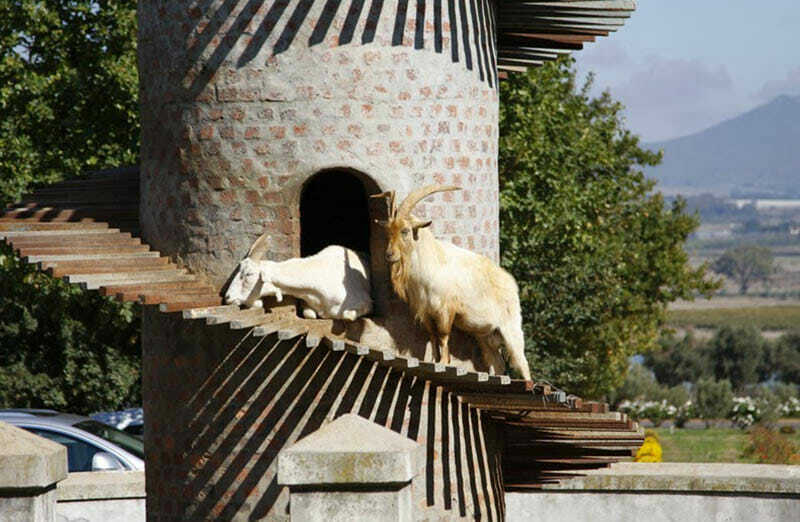 Take a goat, add a tower and you've got yourself an architectural marvel. While we might be used to seeing goats grazing on a mostly two-dimensional pasture, the animals are not strangers to heights. Moroccan goats have been seen climbing trees and the internet has gone gaga over photos of wild goats in precarious places. Sometime in the 19th century, Fernando Guedes da Silva da Fonseca decided to give his livestock a place to make good on their heritage. He tucked his Torres das Cabras into a leafy enclave at Aveleda, a famed winery in the Vinho Verde region of Portugal. The original tower at Quinta da Aveleda in Portugal. Photo by Marian of karmaquita.com. Taking it easy on the tower. Photo by Marian of karmaquita.com. 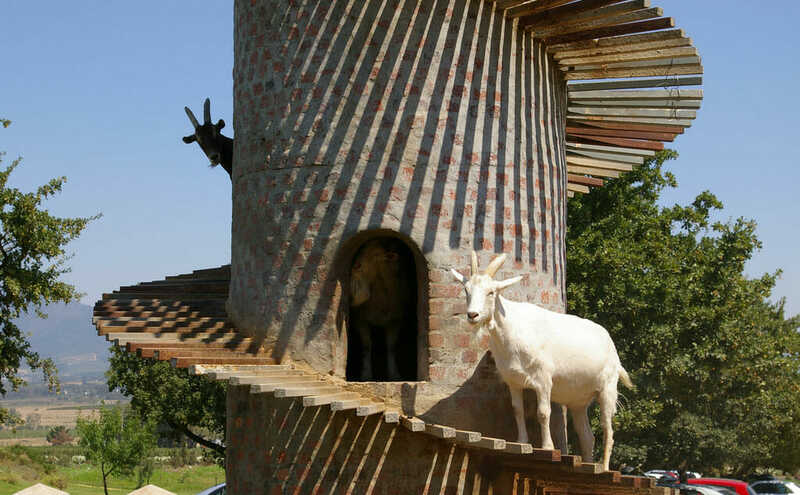 No one recognized the brilliance of his idea for about a century, when Charles Back decided to build a goat tower of his own at Fairview Wine and Cheese in South Africa in 1981. 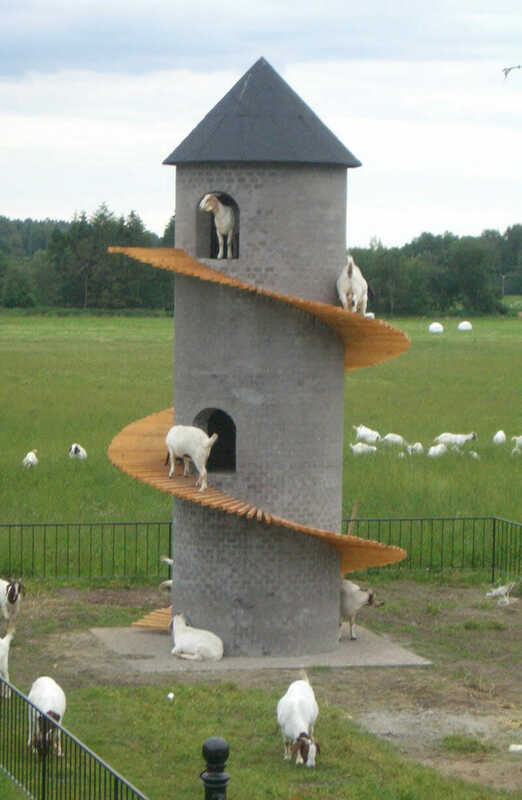 The tower now serves as a playground for the 750 Saanen milk goats at and has also become of the most identifiable aspect of the Fairview brand. Cubbyholes give goats the chance for a break at Fairview. Photo by Peter Borcherds. Top of the tower to ya. A number of farmers worldwide have copied the idea since. 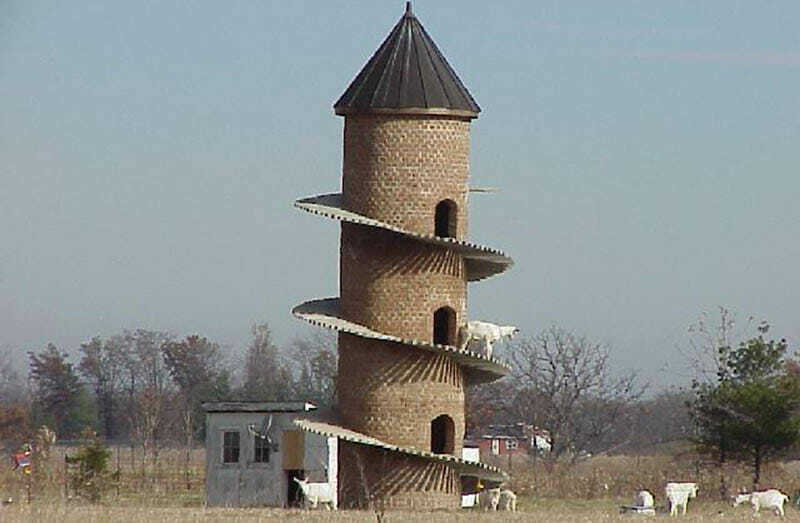 David Johnson built the 31-foot “The Tower of Baa” at his farm in Findlay, Illinois. Ekeby farm brought a tower of their own to Norway and made it the central pillar of most of their marketing materials. Endres Manufacturing Company in Waunakee, Wisconsin built the first steel goat tower when they had some extra time at the machine shop because, why not? Last but not least, Silky O’Sullivan’s bar in Memphis, Tennessee has also jumped on the goat tower band wagon for the amusement of both their patrons and their goats. The goats there might be having a bit having a bit too much fun. 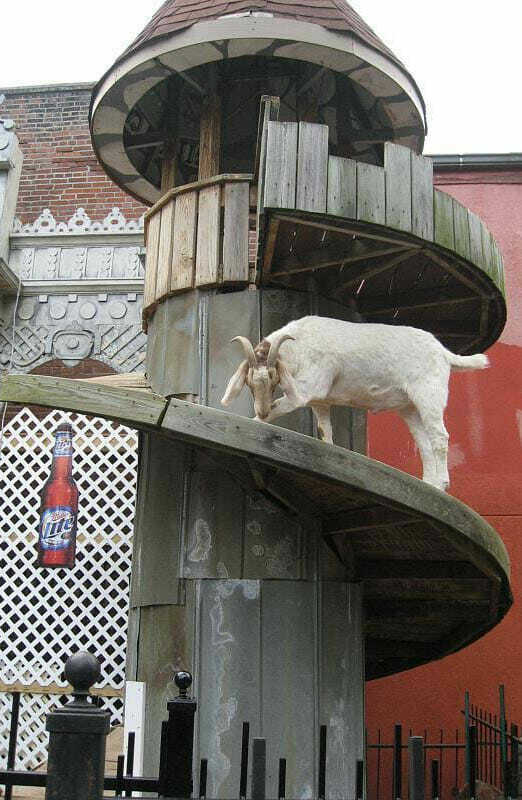 One blog post at Atlas Obscura reports that customers let the goats have a sip or two of their beers before the animals climb the tower. 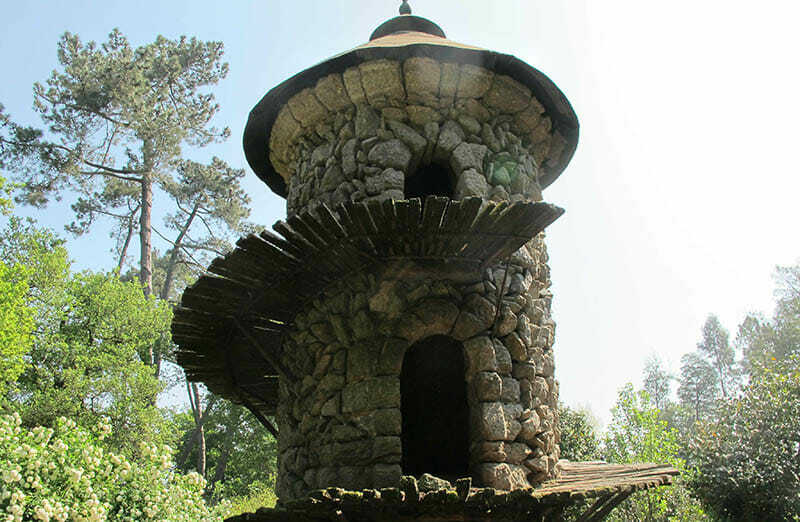 You can go ahead and call them follies (apparently, that’s what you actually call this sort of European garden structure). But regardless of human opinions, the goats seems to love the vertical elements. 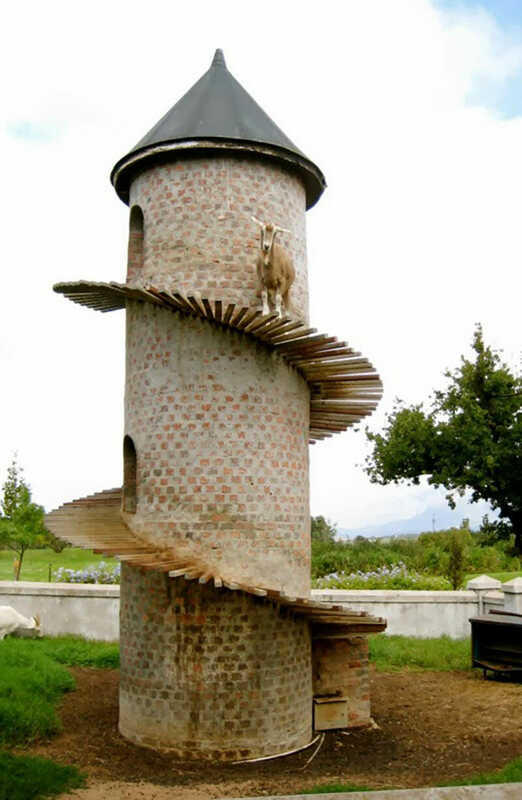 People, meanwhile, maybe love the goat towers even more than the goats themselves — goat towers been a viral meme since at least 2009. 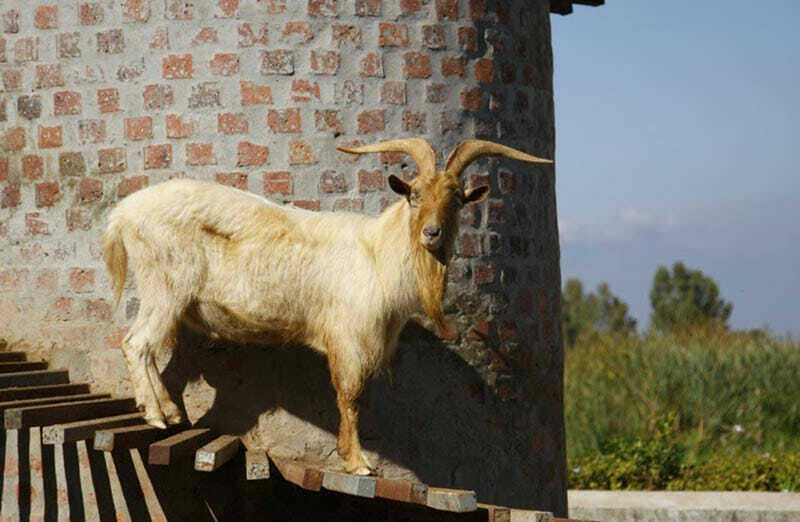 Something about a goat and a tower just really sparks the imagination, we suppose. 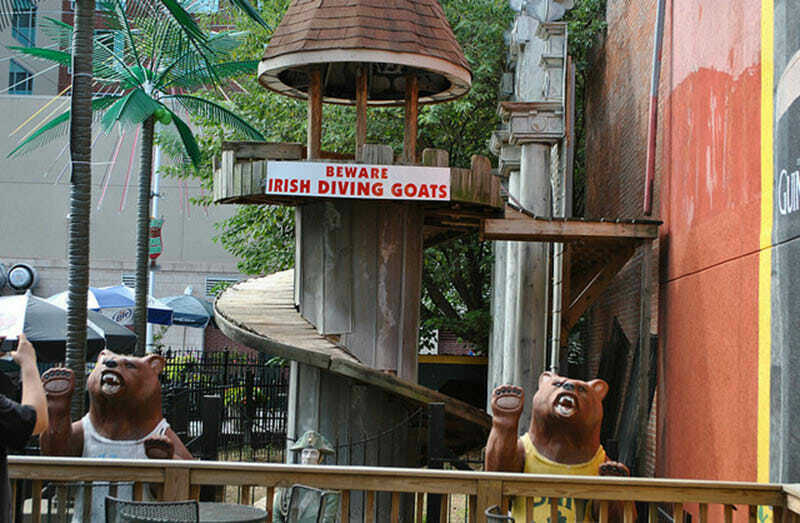 The goat tower at Silky O’Sullivan’s in Memphis. Photo by Allison Meier. A goat on its way to getting a good view of the bar. Photo by Allison Meier. The tower in Shelby County, Illinois is made up of 5000 bricks and 276 concrete steps. Photo by Dale Travis. 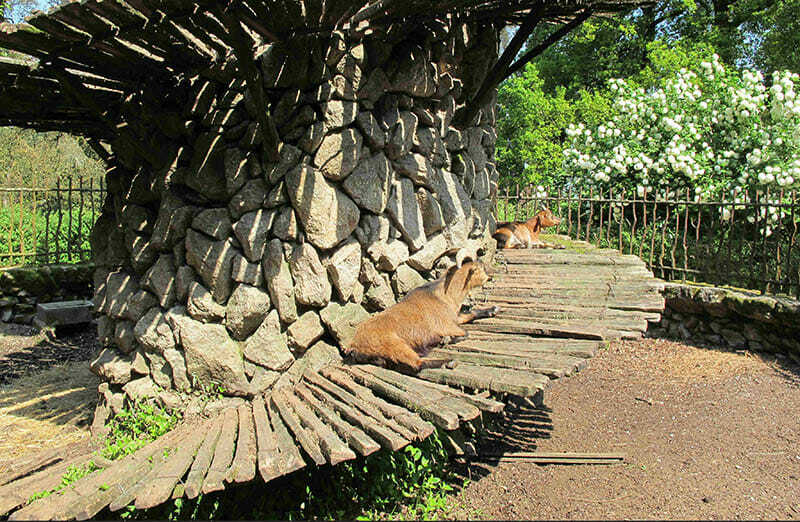 Ekeby, a cheese farm in Norway, built a goat tower of its own after seeing Fairview’s. Photo by Fairview Wine and Cheese. 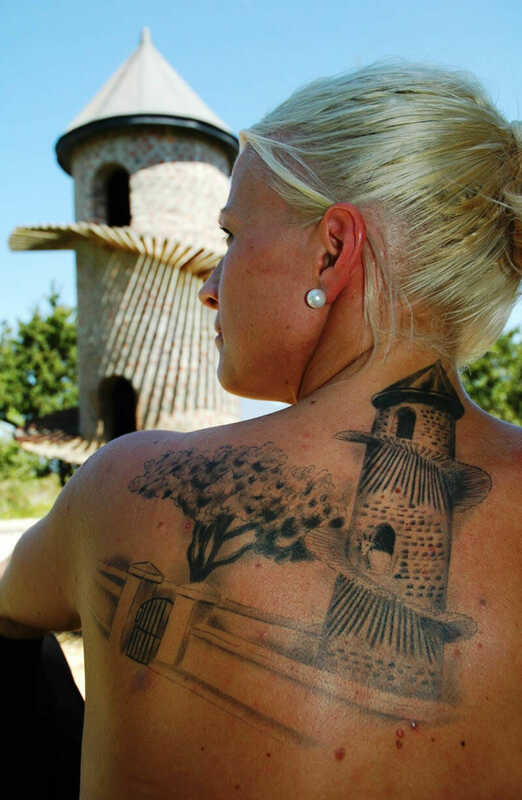 Elisabeth Holm, chef at Ekeby and the girl with the goat tower tattoo. Photo by Fairview Wine and Cheese.